As ambitious as consolidating onto a single electronic health record platform is, there’s even more to Mayo Clinic’s plan that took nearly five years to complete. Mayo Clinic is just days away from rolling out Epic’s EHR at its Rochester, Minnesota, headquarters. The May 5 go-live will advance an enterprise implementation that is estimated to cost $1.5 billion and began when Mayo and Epic started collaborating in 2013. By 2015, Mayo CIO Christopher said the organization would move from Cerner and GE to a single Epic electronic health record. 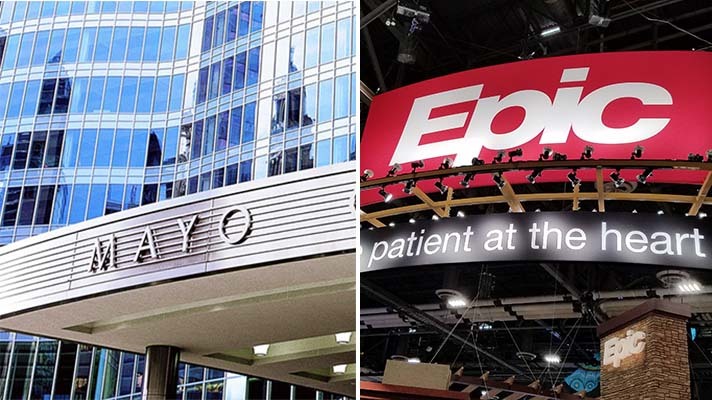 While Mayo has already implemented Epic at several sites in Wisconsin, the headquarters roll-out is a major milestone, with final sites in Arizona and Florida slated to follow in October 2018. As is the case with multi-billion dollar software projects, the arrangement between Mayo and Epic includes several nuances about data centers, public-facing educational products and apps as well as integrating technologies. Here’s a look at key milestones for this massive project. Mayo Clinic officially hit a milestone in its Epic implementation when 24 of its sites in Wisconsin went live on July 8, 2017, and the system said that campuses in Minnesota were scheduled to do the same in November 2017. Mayo said at the time that it dubbed the massive initiative the “Plummer Project” in honor of Henry Plummer, MD, for creating the world’s first patient-centered health record more than a century earlier at Mayo. Mayo and Epic integrated Mayo's symptom checker functionality into Epic's MyChart portal. The Symptom Checker tool uses algorithms to help both caregivers and patients learn more about common ailments including anxiety, dizziness, swelling, and others. In certain cases, uses can also learn about self-care options. In an effort to give patients access to more information about symptoms, conditions and healthy living, Epic added Mayo Clinic added educational health information to patient-facing apps. "Making Mayo Clinic's health knowledge available within MyChart and MyChart Bedside can help patients understand and better manage their health and well-being," Epic President Carl Dvorak said. The hospital-tech vendor relationship took an interesting twist when Epic paid $46 million to buy Mayo’s datacenter so it could turn around and lease the facility and technologies back to Mayo -- a move that CIO Ross described as “an important foundation” on which Mayo would continue innovating, both within and outside the EHR.